In libraries, Workforce Centers and other public service centers, more people are using workstations to search for jobs. Public service centers are reporting an increase in users who are requesting job search resources along with help using those resources. The job search and application process, now almost entirely electronic, is too complex for some patrons to manage on their own so the facility staff is stretched thin trying to accommodate everyone. Is your Center experiencing these issues? If so, Jobview has a service that can help! Since 1995, Jobview has served libraries, Workforce Centers and other public locations, with touchscreen kiosks and software that allows jobseekers to view, print and apply for job listings. Finding a job is as easy as one, two, three! In addition to the standalone kiosk, Jobview can be accessed from any public workstation within the library by using a “desktop icon”. Local, regional and national jobs can be browsed from the same simple and intuitive user interface Jobview is known for. 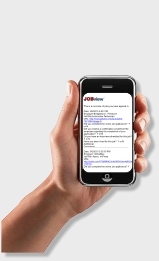 Jobview eliminates the time consuming and confusing process of finding and searching through multiple job sites. For a monthly per-site subscription fee, Jobview can be installed on all public workstations in a library facility to make it fast and easy for jobseekers to search and apply for jobs. Jobview enables service center staff to provide a valuable job service to patrons during these difficult economic times. Is purpose-built for jobs and job information. There are no pop-up ads, no confusing jobseeker registrations, and no distractions. Jobview is truly a self-service resource. Can be accessed using a desktop icon making it easy to promote a standard way for patrons to quickly start searching for available jobs. Allows for easy browsing of positions that are local, regional or national without a mandatory prior registration. Our simple user interface is inviting to non-technical, non-web savvy users. Allows jobseekers to accomplish in minutes what takes much longer when surfing separate job websites. Is tailored to your area of the country. Provides monthly reports to library staff that detail key statistics accumulated by our service, including a zip code pie chart that shows how far patrons are coming to use this resource.